TOTO is pleased to announce the release of their definitive CD box set: All In via Legacy Recordings (a division of Sony Music) on May 24th. In late 2018, a deluxe limited-edition vinyl/CD version of the set was released direct to consumers and quickly sold out. Due to demand, a CD only box-set will available from all major retailers worldwide. TOTO is pleased to announce the release of their definitive CD box set: All In via Legacy Recordings (a division of Sony Music) on May 24th. 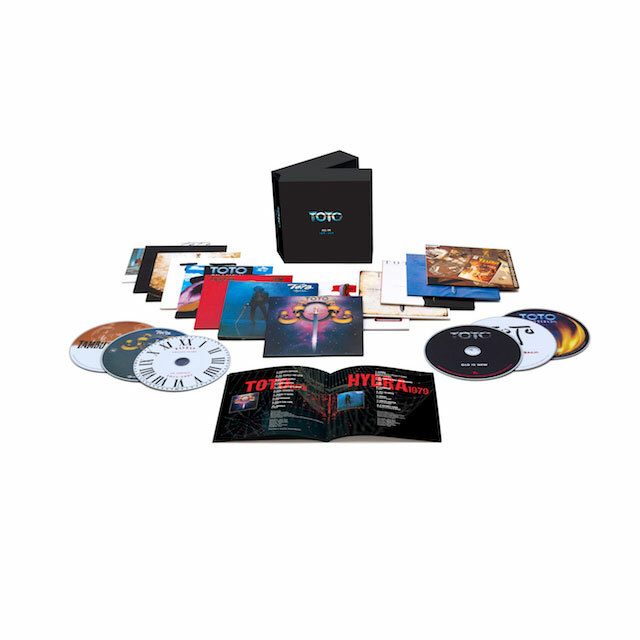 In late 2018, a deluxe limited-edition vinyl/CD version of the set was released direct to consumers and quickly sold out. Due to demand, a CD only box-set will available from all major retailers worldwide.